Luckily he was a veggie farmer so he didn’t eat meat. Jerry also loved soccer. Jeff’s car was called the Pigmobile. Jeff entered a competition to become President of Ireland and when he received a letter telling him he got the most votes, he rushed in to Jerry and screamed ‘I am the President of Ireland. 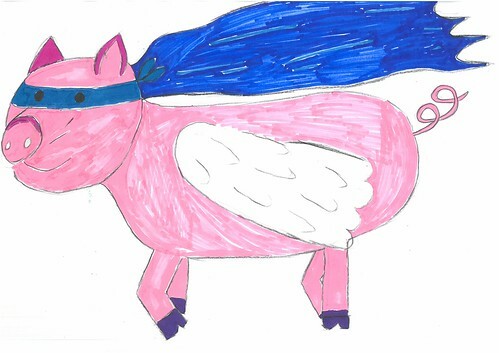 Jeff hurried to his Pigmobile and he flew towards the Pink House. On his way he crashed into a Volcano. 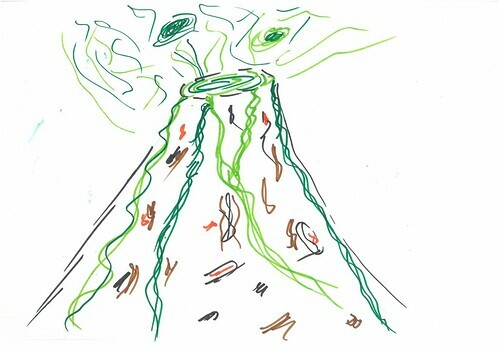 Suddenly it started to erupt and guacamole blasted from the crater.